Discussions Magazine Music Blog: BREATHE/All That Jazz: Deluxe 2CD Edition Available March 5th, 2013! BREATHE/All That Jazz: Deluxe 2CD Edition Available March 5th, 2013! A consummate, polished pop album, “All That Jazz” was originally released in 1988. Now, for the first time, it has been given the deluxe edition treatment to celebrate its 25th anniversary. This 2 CD collection features 33 tracks including the original 11 song configuration plus 15 tracks that make their appearance on CD for the very first time anywhere. The bonus material on this collection features all the single versions, non-album b-sides, and as many remixes and alternate versions that could fit across 2 CDs. The album includes the international smash hit, “Hands To Heaven” (US #2, UK #4), which has been a radio staple since it was released in 1988. 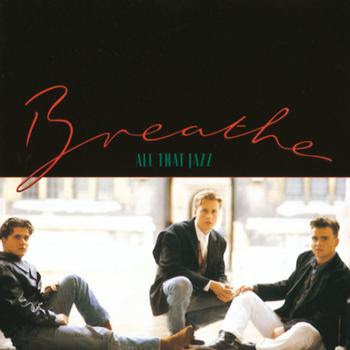 Breathe were the first British group to have 3 top ten singles from a debut album on the Billboard Hot 100 in the US. “How Can I Fall?” (US #3), “Don’t Tell Me Lies” (US #10) and the aforementioned “Hands To Heaven” are all included. 9. WON’T YOU COME BACK? 11. HOW CAN I FALL?